The hill tourist destinations of Shimla and Manali are fabulous spots that offer more of sight-seeing options and great skiing facilities. 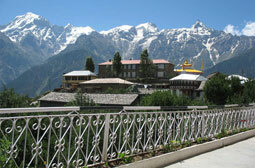 Shimla and Manali are well-known skiing spots and attract thousands of tourists during the winter times. 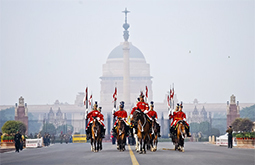 Explore the meandering landscapes of Shimla and Mali with exquisite golden triangle tour of 9 Nights and 10 Days. Enjoy a great breakfast served right on the first call in your hotel room. A welcome meeting will soon follow. A sightseeing tour of Delhi is organized, which would take you through Red Fort, Jama Masjid - India’s hoariest and biggest mosque – the Jama Masjid, Raj Ghat - the resting place of Father of India – Mahatma Gandhi and several more. Enjoy the luncheon in a world class restaurant that specializes in classic Indian cuisine. Resume your tour and visit stunning locations such as stunning locations such as Humayun's Tomb, the Qutub Minar, Rajpath and Lotus Temple. Return to your hotel latest by evening. Unwind yourself in the hotel room. Enjoy the dinner in the composed room of your hotel and afterwards retire on your bed. Enjoy a great breakfast served in your hotel room. Check out from hotel. Pack your bags and set for onward journey to Jaipur. Enroute the journey, halt for a while at Fatehpur Sikri, which was once the well-known political capital of the Mughal Empire. This grand city was constructed by the Great Emperor – Akbar in the year of 1569, and was abandoned 2 decades later due to scarcity of water. Fatehpur Sikri is a UNESCO World Heritage Site. Also discover the grand Jama Masjid, the graceful tomb of Salim Christi, and white marble structure - Panch Mahal. Later in the afternoon, resume your journey for Jaipur. After reaching Jaipur, check into your hotel and rest. Enjoy the dinner served in Rajputana style. Enjoy a great breakfast served in your hotel room. Check out from hotel. Pack your bags and set forth to discover the pink city of Jaipur. 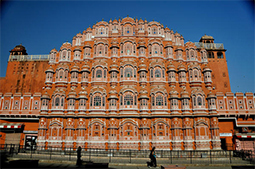 Visit popular buildings such as Hawa Mahal, City Palace, Amber Fort and royal astronomical observatory at Jantar Mantar. Return to your hotel latest by evening. Unwind yourself in the hotel room. Enjoy the dinner in the composed room of your hotel and afterwards retire on your bed. Enjoy a great breakfast and later get ready to take road journey to Manali, which is known for the Apple Orchards, snowy peaks as well as slate house. Enjoy the dinner in the composed room of your hotel and afterwards retire on your bed. Enjoy a hot and well-prepared hygienic breakfast and take forward your journey of Manali as you watch Hadimba Devi Temple, Manu Temple, and the Nagar Castle respectively. You are then transferred to International airport to catch connecting flight to your ongoing destination.